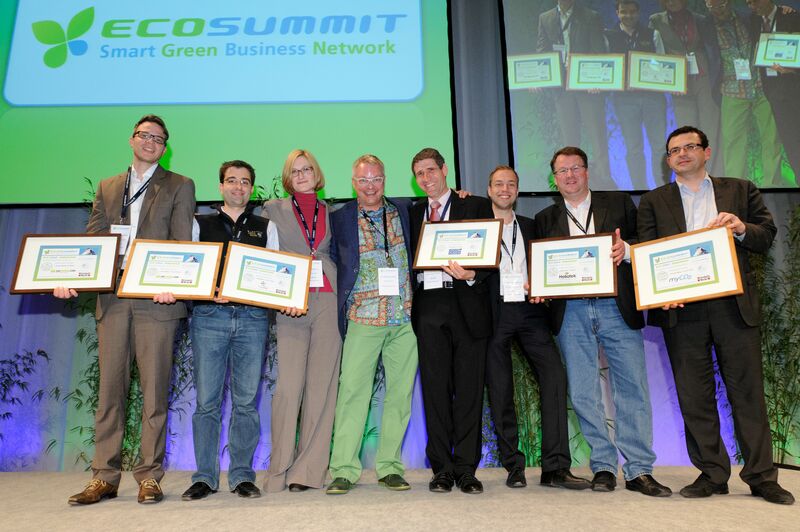 Feldafing-based Smart Hydro Power won first place at ECOSUMMIT, selected by a prominent 53-member jury panel, including top executives of E-ON, RWE, Veolia, Bloomberg New Energy Finance, and many others. The goal behind the Ecosummit Award 2012 (ECO12 Award) is to reward the best smart green startups with publicity and prize money. The jury acknowledged the company´s contribution towards renewable energy generation, but also its global perspective on empowering marginalized peoples in newly industrialized countries of Latin America and Asia. By offering their innovative product in the remote regions of these fast-growing countries, Smart Hydro Power gives benefiters a chance to participate in their countries growing economies. Thanks to the prize money of 7,500 €, the company will now support their latest electrification project in the Brazilian Amazon. The company is also making progress in its home base of Germany and neighboring regions of Switzerland. First installations in the rivers Elbe and Rhine are planned for April and May 2012. “We hope to see more permits rolling in after these first installations of ours. We have plenty of inquiries.” stressed Christina Di Sano, sales and marketing representative of Smart Hydro Power.